This event is a voluntary donations concert towards the completion of a new Sufi centre, but you are welcome to attend in peace regardless of your contribution. We are delighted to have the Turkish ney virtuoso Murad Ferhad. He is joined by Stanislaw Vidya on Bulgarian flute (kaval), Cheong Li on Chinese violin (erhu), and Khaled Hakim on daf and vocals to perform traditional Sufi music. There will be a specially created piece on the myth of Orpheus. 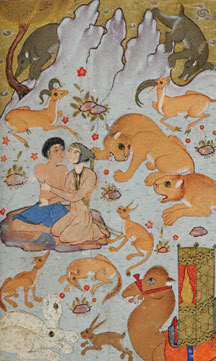 Poetry from Orpheus and Eurydice, Majnun and Layla, and the Persian Sufi poets. We would be so pleased if you brought something small to share in a little feast with everyone – even if it’s just a tangerine. Grand Shaykh Taner Ansari of the Ansari Sufi Order will be there to talk about the new Sufi Centre and to lead a short zikr meditation for humanity.